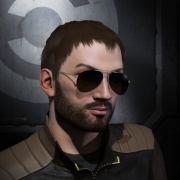 I am a Personnel Officer in Eve University. Dear Visitor, please contact me in-game if you wish to know more about me, as I use this wiki page to store various edits and scripts. Thank you. I learned to do this on a Wiki 102 class. ghost site warning upon warp in: You are approaching a Serpentis research facility. Every project undertaken here is strictly legal and aboveboard. Nonetheless, we regret to inform you that any attempts at unauthorized access will be dangerous for you and your crew. This page was last modified on 21 November 2016, at 16:04.